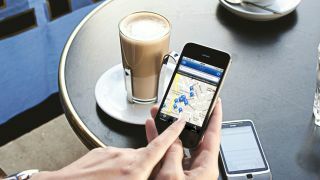 Android accounted for more than 50 per cent of smartphone sales in Q1 2012, more than double its Apple-flavoured competitor, iOS. The figures come from Gartner's quarterly look at the mobile market, and show that sales of mobile phones actually went down in the first quarter of the year for the first time since mid-2009. In the smartphone arena, Android has taken a 56.1 per cent share of the market, blowing Apple's 22.9 per cent share out of the water. Symbian, RIM, Bada and Windows Phone all fell short of taking a 10 per cent share each. Windows Phone's share is still very low, coming in at 1.9 per cent for Q1 – that's 0.6 per cent less than even Samsung's Bada OS. Samsung still takes top billing as number one manufacturer though, pumping out 20 per cent of the world's phones, while Nokia and Apple complete the top three.